Are you looking to create a point of difference with your outdoor area? One great solution is to choose from a stunning collection of water features. 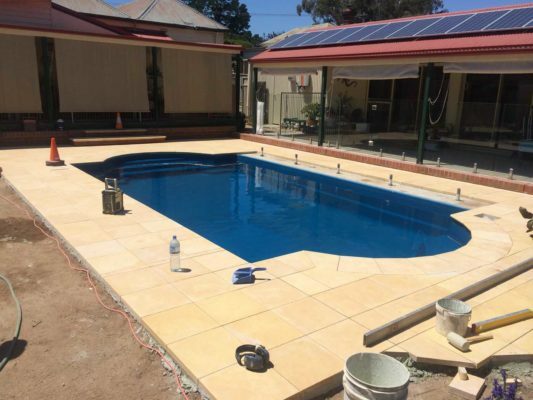 Bendigo residents can rely on us here at BlueStone Landscape for quality services and reliable workmanship. With years of experience in the industry and a dedication to customer satisfaction, you can be sure we’ll do all we can to cater to your needs and deliver a stunning result. Water based features can come in all shapes, sizes and designs and are an easy way to completely transform your space. These are great on their own or as part of a tropical design with fish. The placement is perhaps just as important as its design as you want to put it in an area that will draw attention. We can help our clients on every aspect from choosing the tiling and design options to installing it without the fuss. Whether it’s an immaculate grass lawn, a beautiful stone pathway curling through your prized garden, or any other number of standout features, there’s always one element of your yard which you absolutely love. Speak with our landscaping professionals regarding the design you have envisioned and we will be able to transform your yard into a beautiful and functional outdoor space. Enquire after our other services such as installing irrigation systems and synthetic turf to see what we can offer you. Would you like to learn more about this service? Simply get in touch with our team and we will be happy to answer any questions you may have. To contact us, please call 0400 078 913 or complete our online form. We can also offer our expert suggestions in regards to the design and layout of your garden. With years of experience, we know what elements work well in association with certain yard shapes and sizes and will be able to offer our valuable input.